Role playing has a nearly 50 year old tradition in the contemporary gaming space, with the publication of Dungeons&Dragons in the early 1970s. Tabletop role playing is a huge topic for gamifying teachers. Indeed, it will form the theme of the entire third season of the podcast which is being prepared as I write this. Role playing as a board game mechanic is a feature that has developed alongside many other game mechanics in the last twenty years or so. 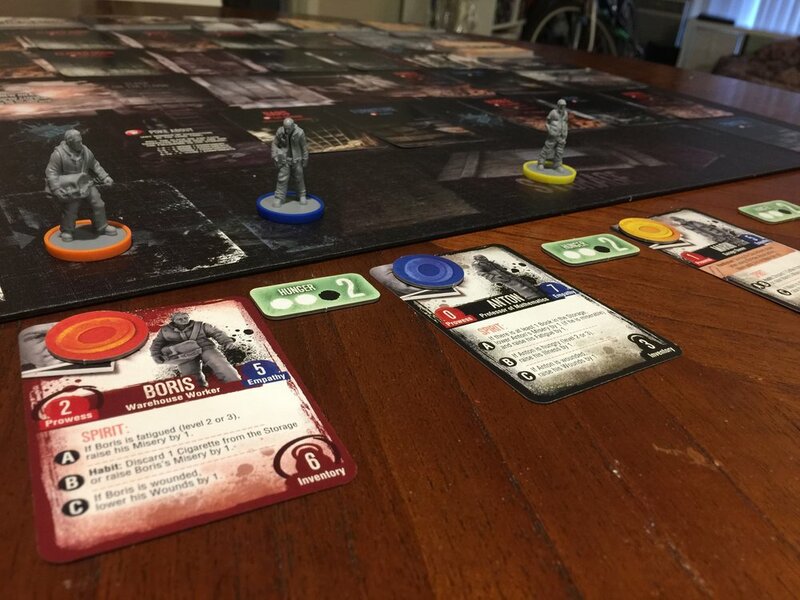 What role playing mechanics in the board game framework do is allow players to have an identity, a perspective, that always makes the gameplay more exciting. Players might start with a full character who can level up over time or develop a character from scratch in some way. What matters is that when you give a player a character whose perspective is yours to take, it makes the experience of gameplay more intriguing, more exciting and more meaningful. These five games will give you lots of ideas about how you might integrate the Mimicry modality in your work and develop characters with your students that make learning a different kind of experience. The world of H.P. Lovecraft’s Cthulhu Mythos has been the subject of both board game and tabletop role playing game development for a long time. The most recent version is this game, the Living Card Game of Arkham Horror. It might also be the best version of the Arkham Horror series ever. In this game, which can be played solo, you have a character and you build a deck of cards specific to that character from an assortment of cards available to you. You use this deck to try to defeat scenarios that tell a unified story. At this point in the game’s development, there are two full narratives (one about Dunwich and one about Carcosa) in addition to the introductory scenario. An accessible dungeon crawler game that is based on the fourth edition of Dungeons&Dragons. Characters in Wrath of Ashardalon have a series of powers that would be similar to powers you’d have if you were playing the tabletop version of the game. Each scenario is short and the rules are straightforward. Mage Knight is a very rich and rewarding experience, but it is a difficult game to learn and master. In Mage Knight, you play an adventurer who is exploring a fantasy world. You develop increasingly powerful skills over the course of the game as you proceed through the game. There’s a version of the game based on the Star Trek universe as well. Tales of the Arabian Nights is a classic game from the 1980s that was republished in the 2000s. This book is a fully immersive storytelling experience. You goal over the course of the game is to have a rich and meaningful story for your character and then to get back to Baghdad and tell that story in order to win the game. This experience brings the full world of the Arabian Nights to the gameplay. An outstanding design, easy to learn and incredibly immersive. One of the most poignant games I’ve ever played is This War of Mine. Based on the videogame, This War of Mine takes place in an analogue to Sarajevo during the Bosnia War…a city besieged. You and your fellow players take on the role of a party of civilians who don’t know each other but are dependent on each other to survive. Survival is the objective…live long enough to see the city liberated. There are brutally difficult decisions to make on every turn. Indeed, the difficulty of the decisions start with the very first decision and never let up. Harrowing, meaningful and extraordinary.